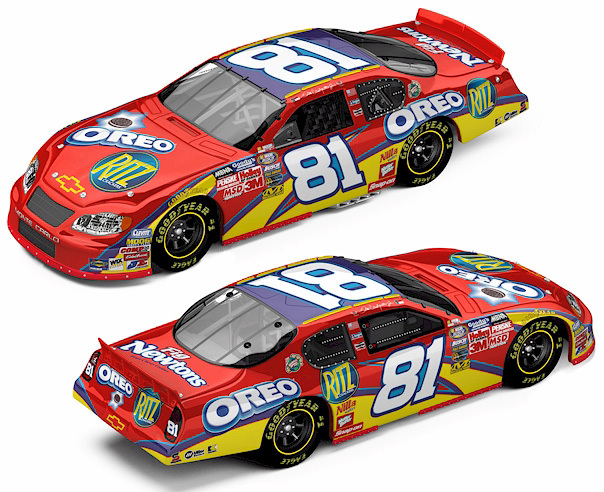 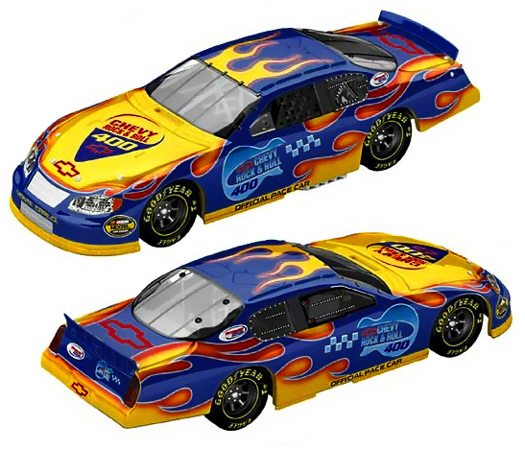 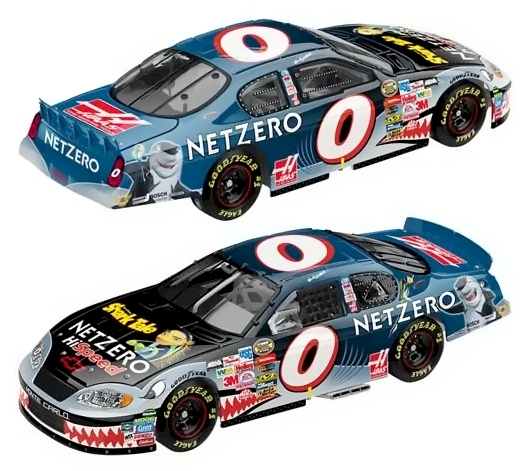 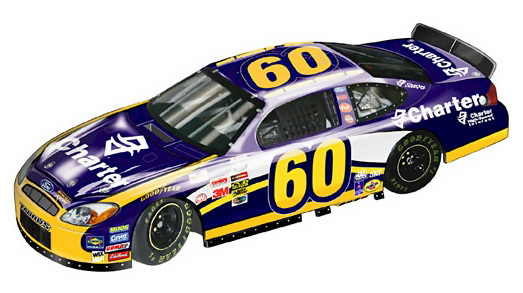 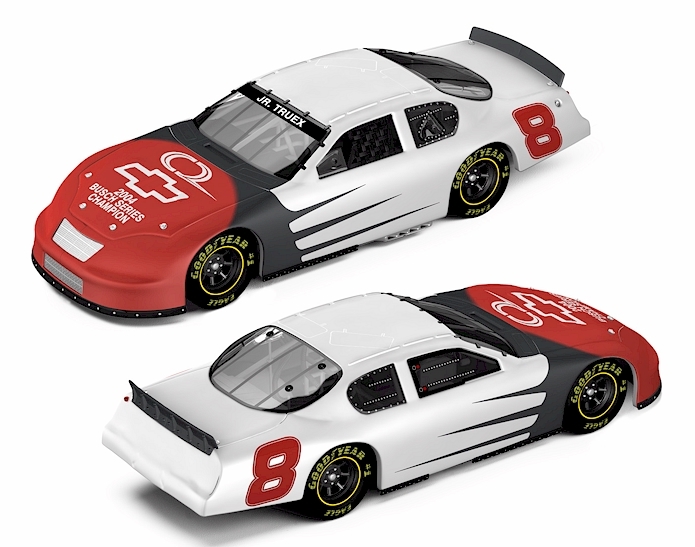 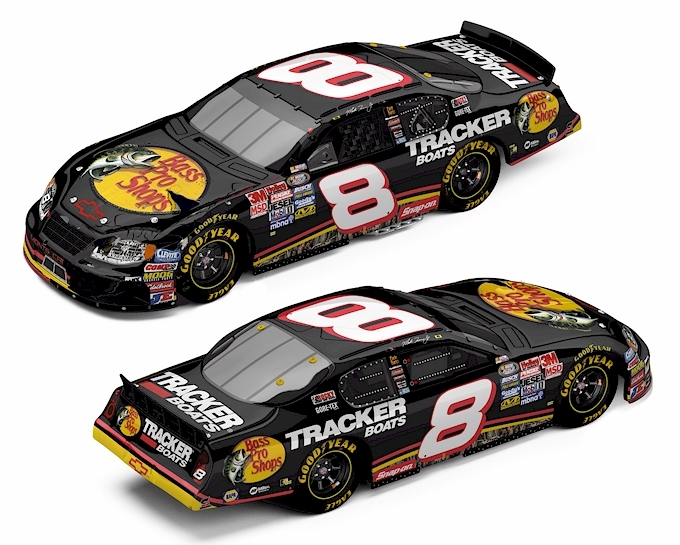 This is the / Shark Tale / special paint scheme of Ward Burton's #0 NetZero / Chevrolet Monte Carlo. 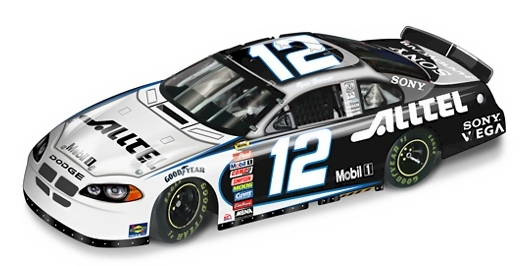 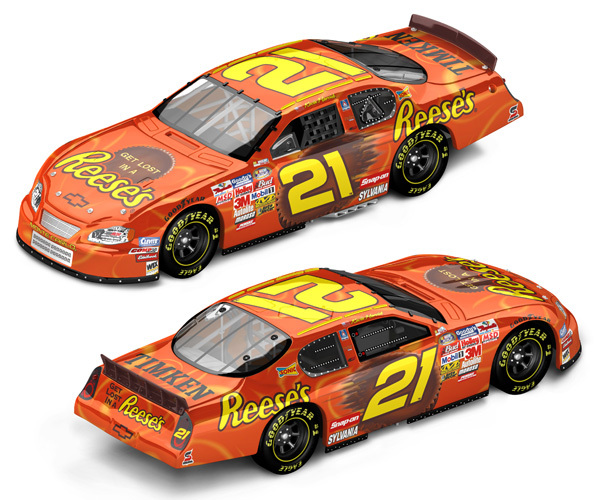 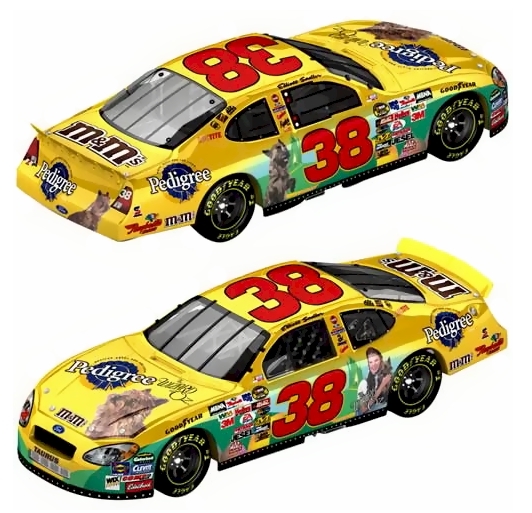 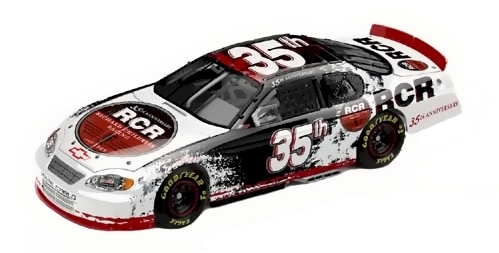 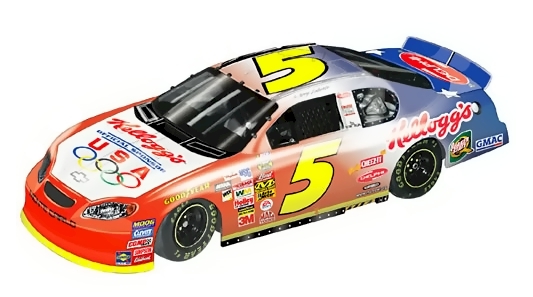 This car was driven in the EA Sports 500 at Talladega Superspeedway on October 3, 2004. 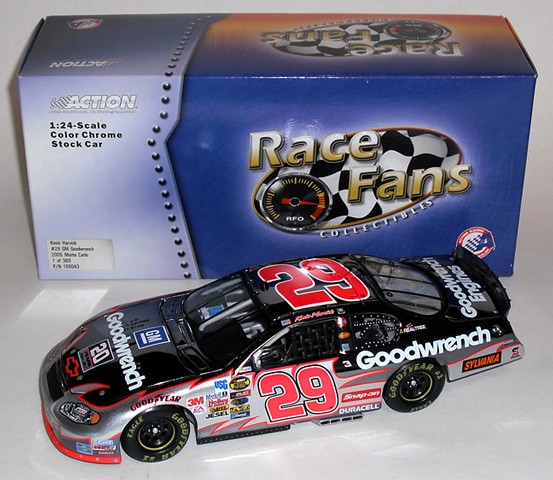 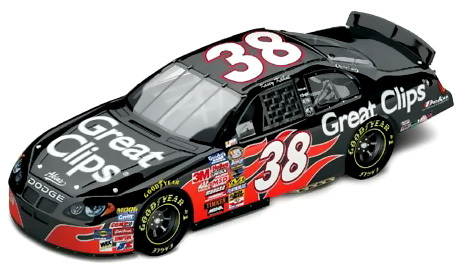 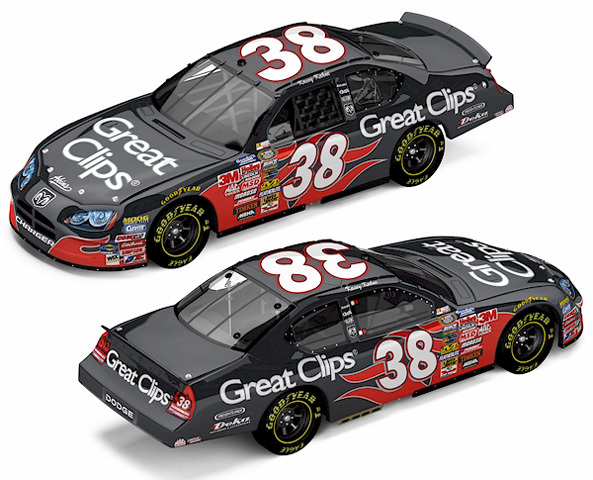 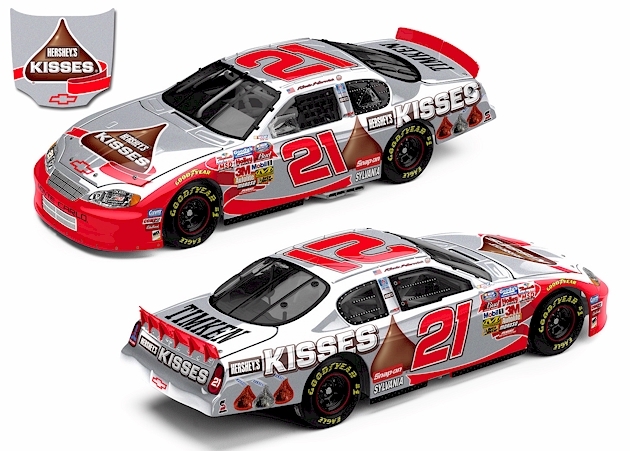 2005 Kevin Harvick #29 Goodwrench / Snap-On 85th Anniversary / Chevrolet Monte Carlo diecast, by Action. 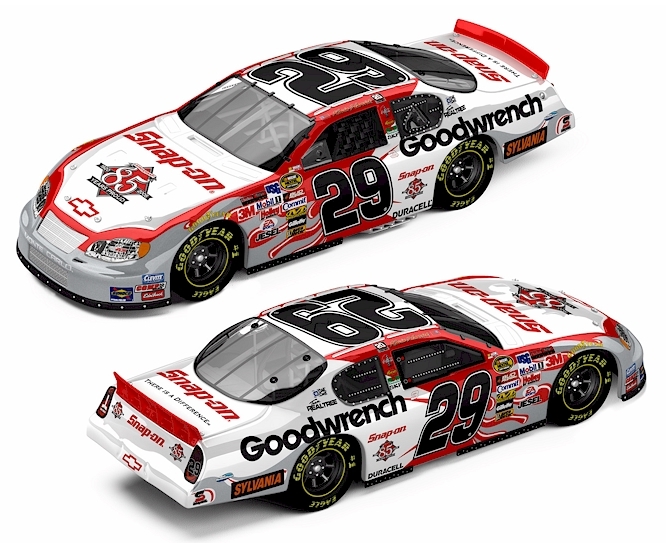 The Richard Childress Racing #29 Goodwrench Snap-On 85th Anniversary Chevrolet was raced by Kevin Harvick in the NASCAR NEXTEL Cup, UAW-GM Quality 500 at Lowe's Motor Speedway on October 15, 2005. 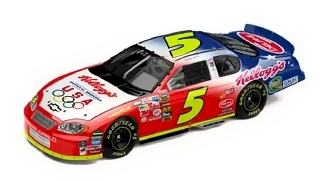 This is the / U.S. Olympics / special paint scheme of Terry Labonte's #5 Kellogg's / Chevrolet Monte Carlo. 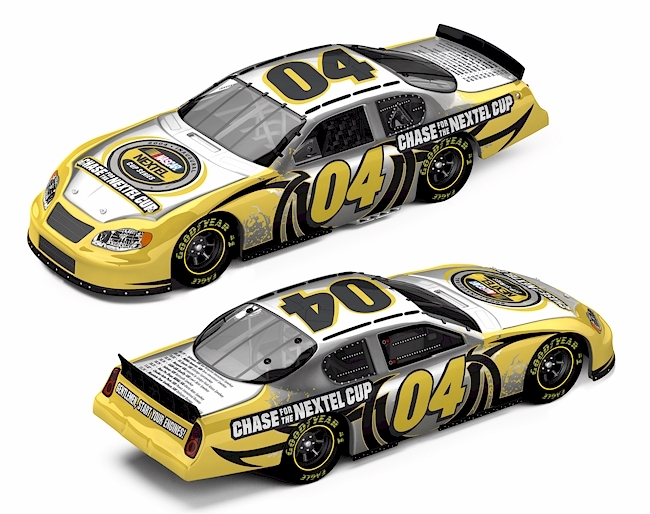 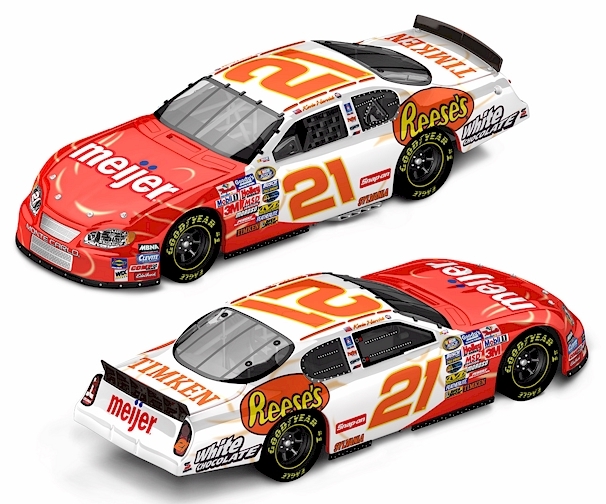 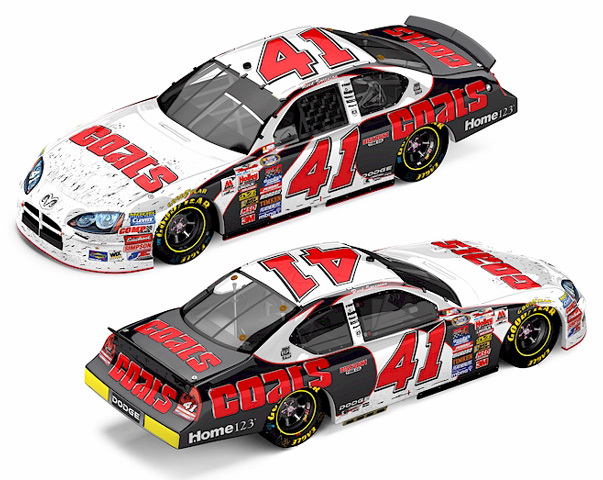 This car was driven in the Pennsylvania 500 at Pocono Raceway on August 1, 2004. 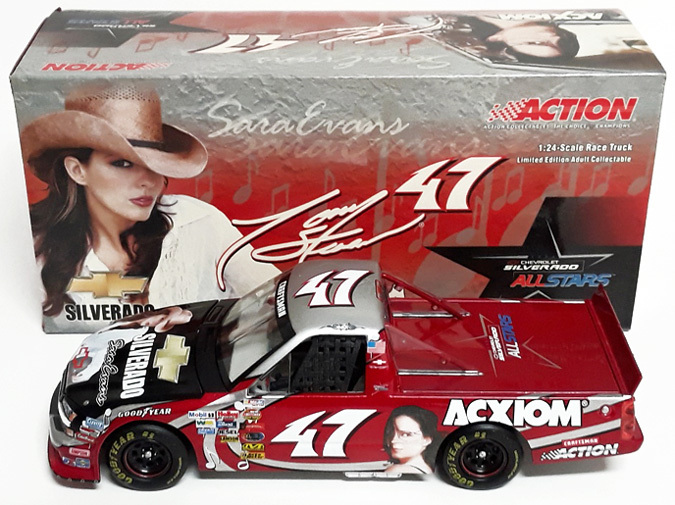 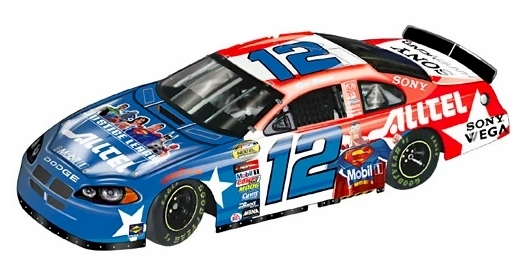 2004 Tony Stewart #47 Silverado Celebrity All-Star / Sara Evans / Chevy Silverado NASCAR Truck 1/24 diecast, by Action. 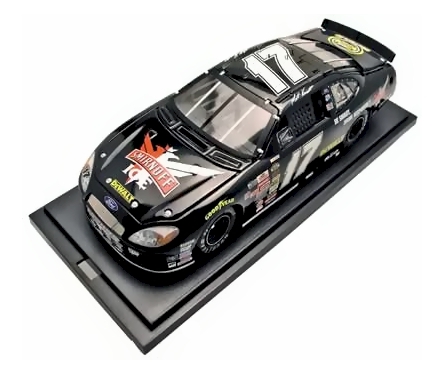 This Morgan-Dollar Motorsports #47 Silverado Celebrity All-Star Chevy Silverado, featuring Sara Evans, was raced by Tony Stewart in the NASCAR Craftsman Truck Series, Kroger 200 at Richmond International Raceway on September 9, 2004. 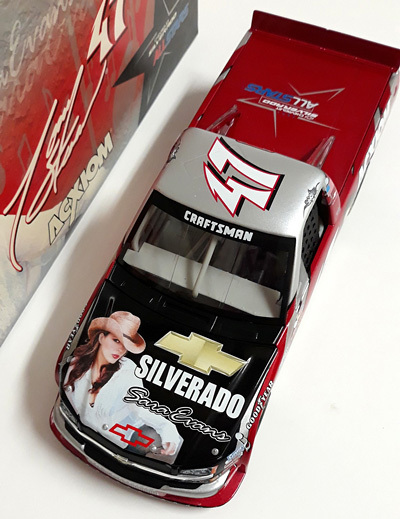 The "Silverado Celebrity All Star" series included a star-studded line up of NASCAR NEXTEL Cup drivers paired with celebrity music artists.